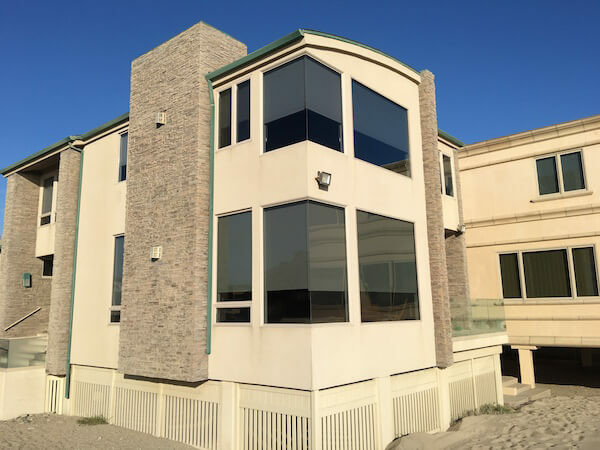 The moment you realized it may very well be time to consider replacing the old, outdated, and worn out windows in your Port Hueneme home, maybe you realized the opportunity that exists before you right now. There are several different home improvement projects that anyone could take on at any time that could help them transform their home to more effectively match and represent their personality. While you certainly have to take into consideration certain aspects, including resale value if you plan on selling your home in the next few years, but it is certainly possible (and happens far too often) where some homeowners simply get tired of the same old look within certain rooms in their home. For example, in your dining room that looks out over to the outdoor living space you have spent many thousands of dollars building up over the years may have two double hung windows side-by-side. This might be practical. It might have made sense at the time. Maybe the homebuilder saw that as a more practical solution because the outdoor living area hadn’t been established at that time. However, with the frame, the pitted glass, the stained wood, and more, you feel as though opening the curtains or raising the blinds or throwing open the shutters is just drawing attention to the window rather than the gorgeous view outside. Now is the opportunity to completely change the look of that home. Below are some ideas that may help you get those creative juices flowing when you’re looking into replacing your old windows or even the entry doors. As mentioned, the most common style of window in any home is a double hung window. This is a window that would slide up or down from the top or bottom and usually has a screen to allow fresh air into the home (without the annoyance of insects or other bugs getting in). When you have an incredible view from your dining room that is being distracted by a double hung window, what about considering a picture window? Picture windows were extremely popular in the 1960s and 70s, but lost traction in the 80s and 90s. Today they are making a comeback. You could consider installing a wide picture window bordered by two narrow double hung windows in order to keep fresh air moving through the home. If that doesn’t appeal to you, consider a bay window. This is essentially two small, narrow windows that angle out away from the house that are then connected by a picture window. It can give the illusion of a more open space in your home. You may want to consider cut ups which effectively make any window appear to be made up of smaller series of windows. The most traditional and common idea that many homeowners have when it comes to replacement windows is replacing the old ones with something the same style and size. While you may benefit by something looking brand new in place, you miss out an incredible opportunity that only really comes along once every 15 or 20 years, on average. If you have a traditional, basic front entry door, but you have the room to install a double door or a more ornate front door with a gorgeous stained glass semicircle window on top, that may provide better curb appeal. If you have a sliding glass door for your patio that leads out to your gorgeous living space outside, it may be old and outdated. You may want to consider a beautiful French door instead. Step out and away from the traditional ideas for a while and see just what is available to you and your family at the moment. You man up preferring to simply replace your windows or doors with something of the same style and size, and that’s fine. However, if you give yourself an opportunity to step out of the traditional box, you’ll know you’re making the right decision. Review a variety of options. There are so many different options when it comes to replacement windows that it can feel overwhelming at first. You have single hung, double hung, casement, picture, bay, bow, half-moon, circle, hexagon, and many more windows to choose from. Go to a showroom where you can see all of these different styles, imagine how they would look in your home, and that will help you ultimately make the best decision for your home and family. The company you choose is going to have a significant impact on creativity when it comes to replacement doors and windows. If you choose a basic company that doesn’t have a great selection, is limited on their experience, or is more focused on making as many sales as possible, you’re going to miss out on an incredible opportunity. However, if you choose a company that has a great deal of experience, offers some of the best customer service and support, and the best selection of replacement windows and doors, you’re going to be in the best position to make the right decision for your family. Quality Windows and Doors has been serving Port Hueneme homeowners for 35 years. They have earned the Ventura County Star Reader’s Choice award for 8 consecutive years. They have two showrooms, one in Oxnard and one in Santa Barbara. They have over 30 employees with countless years of experience who can listen to your concerns, answer any and all questions you have related to replacement windows and doors, help you determine a budget and stick to it, and make the entire home improvement process more enjoyable and beneficial for you and your family. When you’re ready, contact Quality Windows and Doors.